I have been reading and studying about Material Design for some time. I haven’t done a design or development following the guideline, so probably you’re wondering how I write about it, well… I’m actually familiar with it. I surfed along the whole documentation paying attention to all the details mentioned there. I have to recognize they’re doing an excellent job, you will find a style guide for every interface component, as well as interactions, how and why you have to make them in a specific way. I wanted to go further to try to understand why so many people love it, beyond the inconditional love that so many have towards Google. 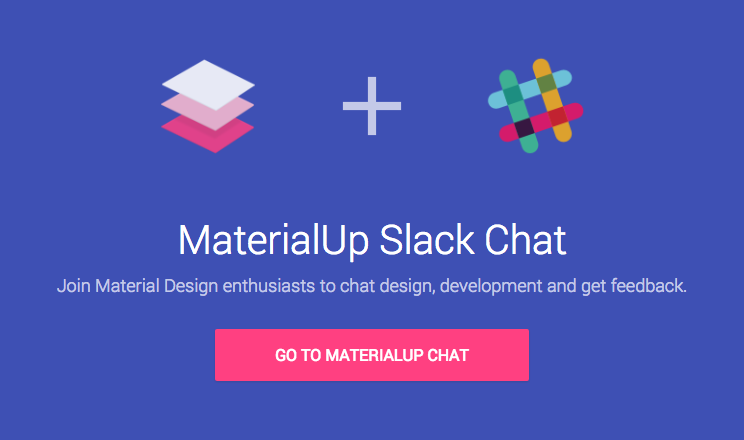 So I decided to join the Material Design community on Slack, where you can find some channels like prototyping, web, mobile, feedback, animations, etc. I have been chatting with a lot of professionals there, exchanging ideas and opinions, more tan anything we talked about Material Design. By the way, if you wanna meet good developers and designers from anywhere, it’s a great place to do it. Google has been focalized in design and providing tools for developers, so that they can create high quality designs with delightful usability and interactions, that they can apply to any screen view, like web, tablet, mobile, tv, etc. It has made designers and developers’ lives easier, resolving problems that they have to face everyday because its documentation is easy to implement. It also offers a very clear guide for the transitions and animations. It creates an order, with a purpose and meaning that has lead to success. Agencies, developers’ companies, freelance developers, agree that Material Design helps them to improve their business. They have a complete guideline for iconography, typography, animations, transitions, interactions, etc. they can translate their skills into awesome designs, which is easier than it was before. It generates not only a great user experience only but also great project results that lead to happy clients. Austin Condiff, Senior UX/UI Designer and Developer. I would have to say that improves usability in a lot of ways. Everything looks clean and you can easily distinguish different elements. As well as the fact of how interactive it is. User immediately notices that something is going on and he/she is not left guessing. @iremlopsum, Front-end & Interaction developer. The most complete thought in a design language I’ve ever seen. 2 native web implementations from the horse’s mouth, Polymer and Angular-Material. Unlike Bootstrap or Foundation, the design language is bundled with the web stack. The perfect hybrid of skeuomorphic & flat; instead of literally copying real world aesthetics, material design is abstracted skeuomorphism. Meaningful transitions are delightful animations that actually have purpose and aren’t just ornamentation (but they’re still fun). Kyle Ledbetter, UX Architect of Teradata. So I related to MD because it’s a lot like architecture and follows a lot of similar rules. The mobile, desktop and new devices (like TV and Watches) design languages had a mind of their own, going in totally different directions and being a programmer not a designer, it’s nice that my UX skills can translate into a great design every time. I actually own a consulting company and we’ve been showing MD to most of our clients and the reactions are great. It’s a very simple idea, well executed that allows most qualified designers/developers/markets to create great looking websites. We actually did a mock up for a client and it helped us win the contract as well as use that same mockup to help other client understand. I think it comes from a diversity of reasons. I’m in favor of the core principle of a logically derived interface system and like the balance that has been struck with its abstracted physics. Because of both my personal views and limits of my current ability, I like the ambition of a lowest common denominator design approach that Material Design takes. For icons specifically, I like the balance of artistic boldness, and utilitarian simplicity. There’s also a unifying social value, as seen by this community, that I enjoy being a part of. And then finally I’m a fan of Google and like MD because of its association. I think it’s because Material Design is not just a documentation of a big company that defines how stuff looks in their OS.. Material is the Idea of combining the simplistic flat design with the logic of skeuomorphism. Everything is an element on a virtual playground and has real physics and real behavior. Quality check — Material Design, provides a very very basic quality check on the apps. Follow simple guidelines and your app actually is quite usable. That was never the case earlier, IMHO. Looking from a developer point of view — I go to the developer reference a lot. Taking a similar approach, I can instantly go to design reference to find an answer. 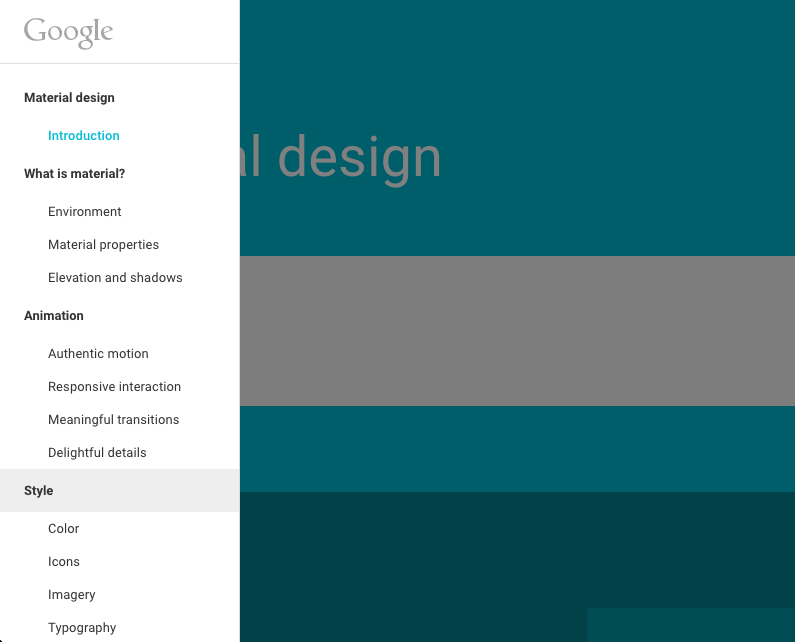 The fact that Material Design has good documentation makes it much easier to adopt. Material design is a brilliant design system that takes cues from the real world and presents them in ways that can be implemented in digital products without being considered skeuomorphic. It uses color, typography, iconography, layout, and animation to bring out the best in your website or application and really captivate your users.Material design is still relatively new, however I instantly gravitated towards it because of how thought out and effective it seemed. The community also caught onto it like wildfire further validating my decision to implement it in future designs. Ever since I have begun to use it, all of my employers, clients, and colleagues have been incredibly impressed with the designs I am producing. I couldn’t be happier with the direction material design is taking the industry and I can’t wait to see it’s future. 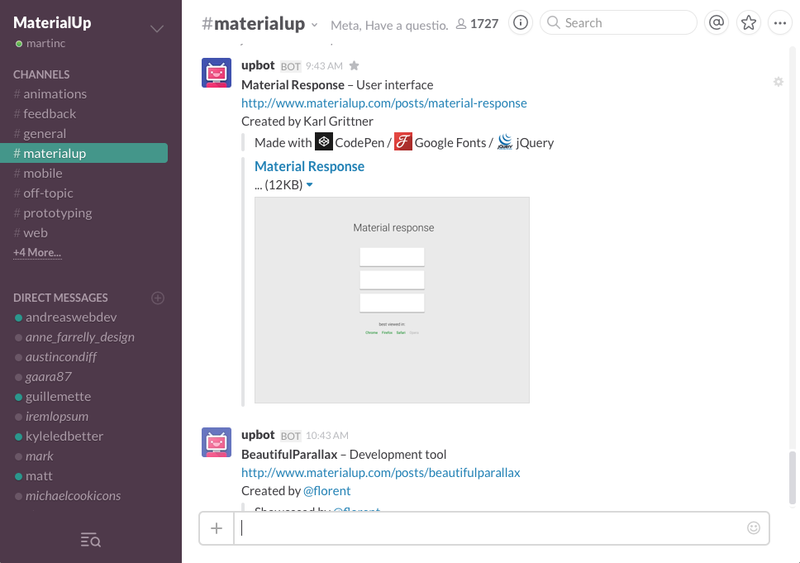 Material Design is quite new but it has had a big acceptance. Obviously not everybody can agree 100%, some may have their discrepancies about it, but it doesn’t take out the value and big commitment that Google is making here. It’s a great tool, nobody can discuss it. They have an active community that is growing everyday, which means validation and support. They need to improve things? Of course, there are always things to improve, but I’m sure it will get better everyday. 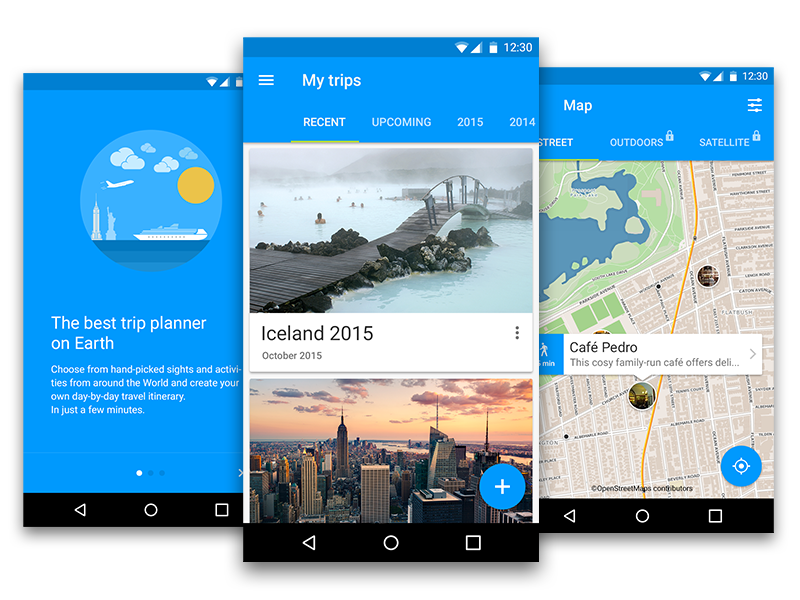 I’m very excited to see Material Design’s future, how it will transform along the way. In my opinion its potential will conclude in good things only. What’s your opinion? I would love to know what are your thoughts about Material Design. Please reach out to me on Twitter.